Edwin Cohen joined Prism Capital Partners in 2003 as a principal partner after a 40-year career as one of the most prominent members of the regional real estate brokerage community. Under his tenure, Prism – which identifies, acquires and creates unique, value-added opportunities in the office, retail, industrial, and residential real estate markets – has orchestrated the repositioning of an impressive list of properties and projects. 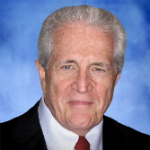 Previously, Mr. Cohen held senior-level positions with Cushman & Wakefield, Grubb & Ellis and Wm. A. White & Sons. Through his career, he has completed hundreds of real estate transactions and millions of square feet in office leasing. Mr. Cohen has served as a member of the Board of Trustees of Brooklyn College, his alma mater, for more than two decades.